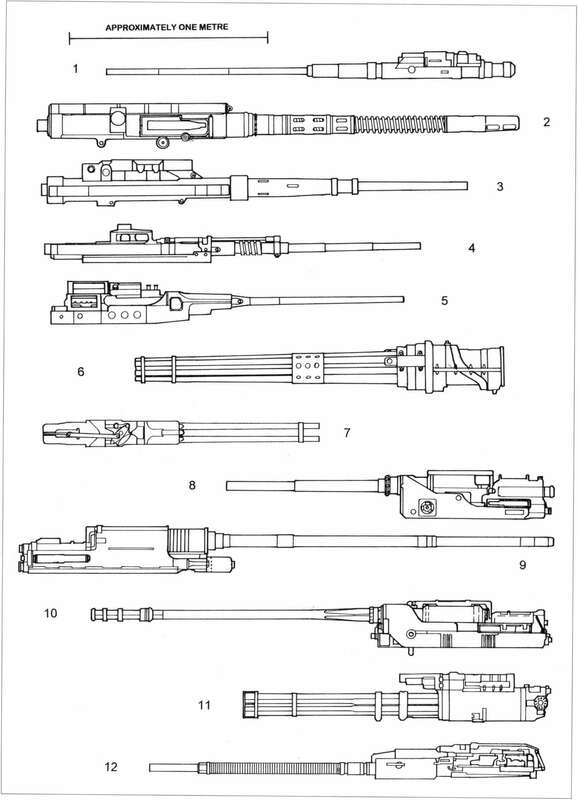 mounting contains twelve externally powered guns, using electrically-primed 20 X 128 ammunition, which are closely packed together in two rows of six. The 4,500kg mounting includes a guidance radar, but without a closed-loop system. Another CIWS which has achieved service status (with the Turkish Navy) is the Contraves Seaguard. 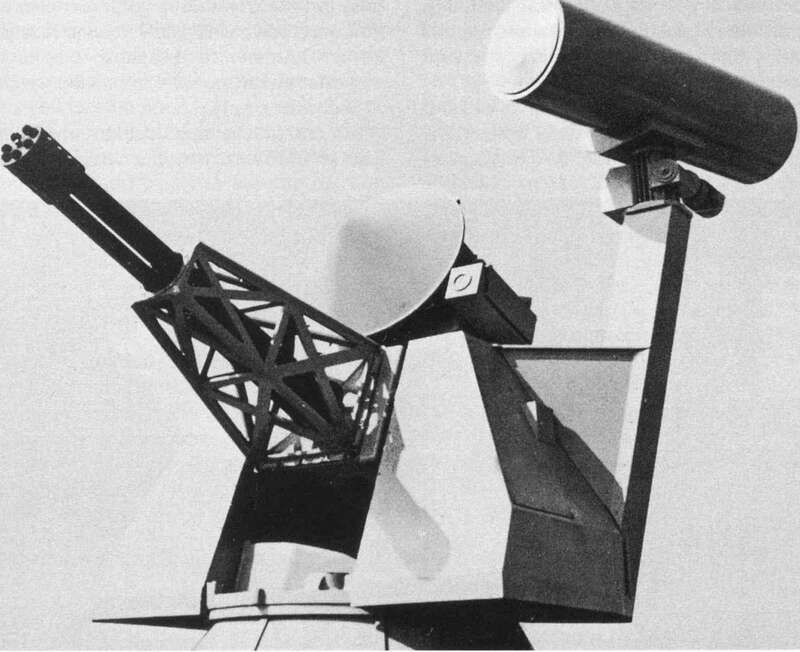 The 3,500kg gun module, called Sea Zenith, uses four Oerlikon KBB cannon, which fire a lengthened, large-capacity 25 X 184 cartridge to improve the performance over the KBA. The speed of reaction required of an anti-missile system is apparent in the expected time of four seconds to destroy the target following the receipt of data from the ships radar. The 25 X 184 cartridge is also used in the new Oerlikon KBD seven-barrel rotary cannon, which manages an impressive 5,000 rpm. Two of these guns are fitted to the 9,000kg Barrage mounting, part of the Myriad CIWS which has so far not seen service. The extremely high combined rate of fire is intended to cope with the next generation of anti-ship missiles, which are expected to be both supersonic and highly manoeuvrable, giving defence systems only the briefest of opportunities to engage them. The KBD is also offered to upgun the Phalanx system; it will fit in the same mounting. A rival weapon is the GAU-12/U rotary chambered for the standard NATO 25 X 137 round. This has featured in several CIWS proposals, including the stabilised Sea Vulcan 25, a scaled-up version of the Sea Vulcan 20 weighing 1,270kg fully loaded and similarly intended for arming small craft. The maximum rate of fire in this application is limited to 2,000 rpm, apparently by ammunition feed arrangements.